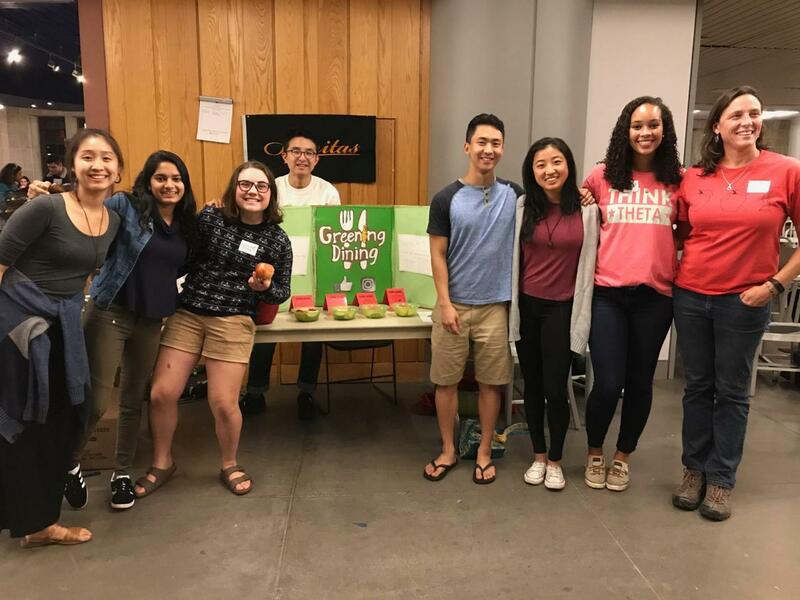 Greening Dining is a student group that focuses on making food choices around campus more sustainable. We work in the cross-section of food and sustainability, and are the main group on campus with a working relationship with Campus Dining. Some recent projects include conducting food waste weigh-ins in Dining Halls, introducing more diverse nut butters to the Dining Halls, and collaborating with Campus Dining's dietician to promote plant-based diets across campus. We're seeking to encourage students to be a little more considerate about the environment when they eat food--a little goes a far way if everyone does it!